• A step-by-step guide that will practically guide you through implementing Cloud computing services effectively and efficiently. • Learn to choose the most ideal Cloud service model, and adopt appropriate Cloud design considerations for your organization. • Leverage Cloud computing methodologies to successfully develop a cost-effective Cloud environment successfully. If you are an IT Administrator, Cloud Architect, or a Solution Architect keen to benefit from cloud adoption for your organization, then this book is for you. Small business owners, managers, or consultants will also find this book useful. No prior knowledge of Cloud computing is needed. 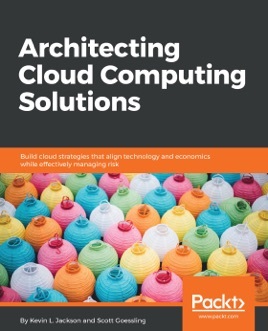 This book will teach you how to architect effective and organizationally aligned Cloud computing solutions by addressing Cloud computing fundamentals, Cloud architecture considerations, Cloud technology service selection, and Cloud computing security controls.